There is wide consensus in modern New Testament scholarship on a core group of authentic Pauline epistles whose authorship is rarely contested: Romans, 1 and 2 Corinthians, Galatians, Philippians, 1 Thessalonians, and Philemon. Several additional letters bearing Paul's name are disputed among scholars, namely Ephesians, Colossians, 2 Thessalonians, 1 & 2 Timothy, and Titus. Scholarly opinion is sharply divided on whether Ephesians and Colossians are the letters of Paul; however, the remaining four–2 Thessalonians, as well as the three known as the Pastoral epistles–have been labeled pseudepigraphical works by most critical scholars. There are two examples of pseudonymous letters written in Paul’s name apart from the New Testament epistles, the Epistle to the Laodiceans and 3 Corinthians. Since the early centuries of the church, there has been debate concerning the authorship of the anonymous Epistle to the Hebrews, and modern scholars reject Pauline authorship. This consists of what the author tells us about himself in the letter, either explicitly – the author clearly identifies himself – or implicitly – provides autobiographical details. This evidence is important in spite of its problems. For example, because the author of the Epistle to the Hebrews never identified him or herself, scholars as early as Origen of Alexandria in the 3rd century suspected that Paul was not the author. This consists of references, again either explicit or implicit, to the text, especially during earliest times by those who had access to reliable sources now lost. Explicit references would be mentioning the text or letter by name, or a recognizable form of that text. Examples include a list of accepted biblical books, such as the Muratorian fragment, or the contents of an early manuscript, such as Papyrus 46. Unfortunately, these witnesses are often either damaged or too late in date to provide much help. Implicit references are quotation from Paul, especially indirect or unattributed, or expressing ideas and phrases that appear in his works. This use or reference implies the material quoted was in existence at the time the external evidence was created. For example, the Second Epistle to the Thessalonians is named by Irenaeus in the mid-2nd century, as well as Justin Martyr and Ignatius of Antioch; it is impossible for this letter to have been written after their time. On the other hand, lack of witness by ancient sources suggests a later date, an argument from silence. However, use of this line of reasoning is dangerous, because of the incompleteness of the historical record: many ancient texts are lost, damaged, or have been revised. An independently written narrative of Paul's life and ministry, found in the Acts of the Apostles, is used to determine the date, and possible authorship, of Pauline letters by locating their origin within the context of his life. For example, Paul mentions that he is a prisoner in his Epistle to Philemon 1:7; based on this statement, J. A. T. Robinson argued that this captivity was Paul's imprisonment in Caesarea, while W. M. Ramsay identified this as Paul’s captivity in Rome, while others have placed the captivity in Ephesus. One difficulty with this position is the limited data available on Paul's historical setting, and this is especially true with the conclusion of the narrative of Acts prior to Paul's death. It also assumes that the book of Acts was written by an actual traveling companion of Paul's. Vocabulary, sentence structure, employment of idioms and common phrases, etc. are analyzed for consistency with the author’s other known works. A similar style implies common authorship, while a radically divergent vocabulary implies different authors. For example, E. J. Goodspeed argued that the vocabulary of the Epistle to the Ephesians showed a literary relationship with the First Epistle of Clement, written around the end of the 1st century. Similarly, E. Percy argued that the speech and style of Colossians more strongly resembled Pauline authorship than not. Of course, style and language can vary for reasons other than differing authorship, such as the subject of the letter, the recipient, the circumstances of the times, or simply maturation on the part of the author. Similar to internal evidence, doctrinal consistency and development are examined against the author's other known works. Theological themes like the eschaton or the Mosaic Law could reappear in different works, but in a similar manner. A consistent point of view implies a common author; contradictory or unrelated teachings imply multiple authors. For example, W. Michaelis saw the Christological likeness between the Pastoral Epistles and some of Paul's undisputed works, and argued in favor of Pauline authorship. A problem with this method is analyzing the coherence of a body of diverse and developing teachings. This is seen in the disagreement between scholars. For example, with the same epistles mentioned above, B. S. Easton argued their theological notions disagreed with other Pauline works, and rejected Pauline authorship. G. Lohfink argued the theology of the Pastoral epistles agreed with Paul's, but took this as proof someone wishing to enjoy the authority of an apostle copied the famous church leader. Saint Paul Writing His Epistles, 17th-century painting. Most scholars think Paul actually dictated his letters to a secretary, for example Romans 16:22 cites a scribe named Tertius. The name "undisputed" epistles represents the traditional scholarly consensus asserting that Paul authored each letter. However, even the least disputed of letters, such as Galatians, have found critics. Moreover, the unity of the letters is questioned by some scholars. First and Second Corinthians have garnered particular suspicion, with some scholars, among them Edgar J. Goodspeed and Norman Perrin, supposing one or both texts as we have them today are actually amalgamations of multiple individual letters. There remains considerable discussion as to the presence of possible significant interpolations. However, such textual corruption is difficult to detect and even more so to verify, leaving little agreement as to the extent of the epistles' integrity. See also Radical Criticism, which maintains that the external evidence for attributing any of the letters to Paul is so weak, that it should be considered that all the letters appearing in the Marcion canon were written in Paul's name by members of the Marcionite Church and were afterwards edited and adopted by the Catholic Church. These seven letters are quoted or mentioned by the earliest of sources, and are included in every ancient canon, including that of Marcion (c.140). There is no record of scholarly doubt concerning authorship until the 19th century when, around 1840, German scholar Ferdinand Christian Baur accepted only four of the letters bearing Paul's name as genuine, which he called the Hauptebriefe (Romans, 1 & 2 Corinthians, and Galatians). Hilgenfeld (1875) and H. J. Holtzmann (1885) instead accepted the seven letters listed above, adding Philemon, 1 Thessalonians, and Philippians. Few scholars have argued against this list of seven epistles, which all share common themes, emphasis, vocabulary and style. They also exhibit a uniformity of doctrine concerning the Mosaic Law, Christ, and faith. Although Colossians is witnessed by the same historical sources as the undisputed texts, Pauline authorship of Colossians has found some critics. It was originally doubted by F. C. Baur, though others working from his general thesis, such as H. J. Holtzmann, argued that an original brief Pauline text experienced many interpolations by a later editor. The basis for the early objection was that the letter aimed at refuting Gnosticism, a heresy which had not reached its ascendancy until the early 2nd century. This thesis was questioned in an analysis of Gnosticism by R. Wilson, where he contended that the supposed parallels were unsupported. Another argument centers on differences in style and vocabulary. W. Bujard demonstrated significant stylistic differences between Colossians and Paul's other works, such as unusual genitive constructions (1:27, 2:11, 2:19, 3:24). The extensive theological development in the epistle compared to other epistles has also led to skepticism concerning Pauline authorship. H. Conzelmann made such an argument, pointing to differing theological concepts of "hope". Others accepting this analysis have asserted that the text is merely a late text of Paul, though the thesis has not found wide scholarly concurrence. The connection between Colossians and Philemon, an undisputed letter, is significant. A certain Archippus is referred to in both (Philemon 2, Colossians 4:17), and the greetings of both letters bear similar names (Philemon 23-24, Colossians 4:10-14). However, the connection between the two epistles can be used by those on both sides of the Pauline vs. deutero-Pauline debate. To those who favor Pauline authorship of Colossians, this is evidence of same authorship; to those who do not, this, combined with the other evidence noted, is indicative of a skillful forger. The author of Ephesians claims to be Paul in the opening address, itself identical to those of Second Corinthians and Colossians. There were few doubts in the early church that Paul wrote the epistle: it was quoted authoritatively by early church fathers, including Tertullian, Clement of Alexandria, and Irenaeus, among others. The letter also appears in the Marcion canon (140) and the Muratorian fragment (180). The authenticity of this letter was first disputed by the Dutch Renaissance scholar Desiderius Erasmus, and in more recent times has drawn detailed criticism. The letter is made up of 50 sentences, 9 with over 50 words. The closest, Romans, has 3 out of 581 sentences of such length. E. J. Goodspeed, and C. L. Mitton argued the style was unlike Paul's other works. Many words in the letter are not in the "undisputed" epistles. A. van Roon argued the style is consistent with Paul, and thought the entire linguistic analysis dubious. In antiquity, the Greek Church Fathers, many of whom noticed the divergent Greek style of Hebrews, made no such comments about Ephesians. Theologically, the word ecclesia is used to refer to the universal church rather than, as Paul typically employs it, to the local churches that he had founded. Also, the eschatological tone is more subdued than in other letters: the expectation of Christ’s imminent return is unmentioned, while future generations are, as is a concern for social order. W. G. Kümmel argued that the theology is beyond Paul. There is a close literary relationship between the Colossians and Ephesians. Over forty passages in Ephesians are expansions or variations of passages in Colossians. E. F. Scott argued that Paul used one letter as a model for the other, whereas others have considered Ephesians to be derivative of Colossians, edited and reworked by another. Donald Guthrie summarized the implications of this: "Advocates of non-Pauline authorship find it difficult to conceive that one mind could have produced two works possessing so remarkable a degree of similarity in theme and phraseology and yet differing in so many other respects, whereas advocates of Pauline authorship are equally emphatic that two minds could not have produced two such works with so much subtle interdependence blended with independence." Paul founded and built up the church in Ephesus; however, this letter does not appear to contain the usual specific greetings, seen in Paul's other letters, addressed to people he remembers. There is some evidence that the Letter to the Ephesians might have been sent to several different churches. Some of the oldest manuscripts of this letter are not addressed to "God's holy people who are at Ephesus," but merely to "God's holy people." Marcion, around 140, quoted from this letter and attributed the quote to Paul's "Letter to the Laodiceans." In the 17th century, James Ussher suggested that this might have been a "circular letter" that Paul sent to several churches, including Ephesus and Laodicea. This would explain why Paul's usual personal greetings are absent: these could not be included in a letter sent to several different churches. The language and style are different. Ephesians contains 40 new words, e.g. 1:3 "heavenly places"; "family, or fatherhood" (3:15). 1:19 has four different words for "power"; Ephesians and Colossians use a different word for "reconcile" from Paul's word (Col 1:20, 22; Eph 2:16). And they both use many very long sentences, e.g. 1:3-14; 1:15-23; 3:1-7; 4:11-16; 6:14-20. Also Col 1:9-20. Ephesians copies Colossians at many places. Eph has 155 verses, 73 of which are copied from Col: e.g. Eph 4:1-2 = Col 3:12-13. Eph 5:19-2 = Col 3:16-17, Eph 6:21-22 = Col 4:7-8. Ephesians also refers to most of the other letters of Paul. In many ways it seems like a summary of Paul's ideas, written by a disciple of his, and brought up to date for the Church of his own time. Ephesians shows that the Church is becoming an advanced and powerful universal institution (rather like the Church today). In Paul's time there was no universal Church in that sense, but only informal gatherings of individual believing communities. Ephesians shows Jesus acting on his own account and by his own authority without making explicit that he is acting on God's behalf and with God's blessing; in Paul's other letters, this is more explicit. The epistle was included in the Marcion canon and the Muratorian fragment; it was mentioned by name by Irenaeus, and quoted by Ignatius, Justin, and Polycarp. In recent times, criticism of Pauline authorship was raised by H. J. Holtzmann and G. Hollmann (see above). Much of the dispute concerns the linguistic similarity between 1 Thessalonians and 2 Thessalonians. For example, 1 Thess 2:9 is almost identical to 2 Thess 3:8. This has been explained in the following ways: Paul wrote 2 Thessalonians soon after writing 1 Thessalonians or with the aid of a copy of 1 Thessalonians, or Paul wrote 1 Thessalonians himself but a later writer imitated him, or the linguistic similarities are seen as subtle enough to make imitation an unnecessary hypothesis. Udo Schnelle argued that 2 Thessalonians was significantly different in style from the undisputed epistles, characterizing it as whole and narrow, rather than as a lively and abrupt discussion on a range of issues. Moreover, Alfred Loisy argued that it reflected knowledge of the synoptic gospels, which, according to the current scholarly consensus, had not been written when Paul wrote his epistles. Bart D. Ehrman viewed the insistence of genuineness within the letter and the strong condemnation of forgery at its start as ploys commonly used by forgers. However G. Milligan observed that a church which possessed an authentic letter of Paul would be unlikely to accept a fake addressed to them. However, Milligan's analysis assumes that 2 Thessalonians is not a late forgery and thus was received by the Thessalonian community. C. Masson argued that the eschatology of each letter to the Thessalonians is considerably different. The First Epistle to Timothy, the Second Epistle to Timothy, and the Epistle to Titus are often referred to as the Pastoral Epistles and are the most disputed of all the epistles ascribed to Paul. "Marcion's collection that begins with Galatians and ends with Philemon;"
"Papyrus 46, dated about 200, that follows the order that became established except for reversing Ephesians and Galatians;"
"[T]he letters to seven churches, treating those to the same church as one letter and basing the order on length, so that Corinthians is first and Colossians (perhaps including Philemon) is last." Beginning in the early 19th century, many German biblical scholars began to question the traditional attribution of these letters to Paul. The vocabulary and phraseology used in the Pastorals is often at variance with that of the other epistles. Over 1/3 of the vocabulary is not used anywhere else in the Pauline epistles, and over 1/5 is not used anywhere else in the New Testament, while 2/3 of the non-Pauline vocabulary are used by 2nd-century Christian writers. For this reason, and because of a claimed precedence of 1 Clement, some scholars have associated these works with later 2nd-century Christian writings. The precedence of 1 Clement was challenged by R. Falconer, while L. T. Johnson challenged the linguistic analysis as based on the arbitrary grouping of the three epistles together: he argued that this obscures the alleged similarities between 1 Timothy and 1 Corinthians, between Titus and the other travel letters, and between 2 Timothy and Philippians. Norman Perrin argued that Paul's travels to Crete (Titus 1:5-6), again to Ephesus (1 Tim 1:3), Nicopolis (Titus 3:12), and Troas (2 Tim 1:15, 4:13) cannot be fit into any reconstruction of Paul's life or works as determined from the other epistles or from Acts. In this he was preceded by several scholars who rejected Pauline authorship. Robinson argued against this analysis, while others have debated whether this should be grounds for rejection of Pauline authorship, as Acts concludes while Paul is still alive. Harnack, Lightfoot and other scholars have suggested hypothetical scenarios that would have these epistles written near the end of Paul's life without contradicting biographical information in the other epistles or Acts. Scholars arguing for the authenticity of the pastorals posit a "second career" of Paul to explain the occasion for the visits mentioned in these letters, though contemporary scholars generally consider the "second career" of Paul to be a creation of later Christian communities. Other reasons for a 2nd-century date have been argued. The Pastoral Epistles lay out church organisation concerning the character and requirements for bishops, elders, deacons, and widows. Some scholars have claimed that these offices could not have appeared during Paul's lifetime. In terms of theology, some scholars claim that the Pastorals reflect more the characteristics of 2nd century (Proto-orthodox) church thought, than those of the 1st century. In particular, whilst in the 1st century the idea of Christ's return being immediate was current (see parousia, as also described in the non-pastoral epistles), in the 2nd century it was seen as more distant, matching the choice of the pastorals to lay down instructions for a long time after the passing away of the apostles. Lastly, some have argued that the Pastorals condemn forms of Hellenic mysticism and gnosticism, which were seen as not significant in the 1st century; however, recent scholarship into 1st century Gnosticism has suggested an earlier dominance of Gnostic views. Unlike the thirteen epistles above, the Epistle to the Hebrews is internally anonymous. Moreover, scholars such as Robert Grant and Harold Attridge have noted the many obvious differences in language and style between Hebrews and the correspondence explicitly ascribed to Paul. Church Fathers and ante-Nicene writers such as Tertullian noted the different manner in which the theology and doctrine of the epistle appear. This variance led many to name other candidates for authorship, such as the fellow traveller of Paul called Barnabas (favored by Tertullian), a follower of John the Baptist called Apollos (favored by Martin Luther and several modern scholars), as well as less likely candidates such as Silas and even Priscilla. Origen of Alexandria (c. 240), as quoted by Eusebius (c. 330) had this to say on the matter: "That the character of the diction of the epistle entitled To the Hebrews has not the apostle’s rudeness in speech, who confessed himself rude in speech, that is, in style, but that the epistle is better Greek in the framing of its diction, will be admitted by everyone who is able to discern differences of style. But again, on the other hand, that the thoughts of the epistle are admirable, and not inferior to the acknowledged writings of the apostle, to this also everyone will consent as true who has given attention to reading the apostle…. But as for myself, if I were to state my own opinion, I should say that the thoughts are the apostle’s, but that the style and composition belonged to one who called to mind the apostle’s teachings and, as it were, made short notes of what his master said. If any church, therefore, holds this epistle as Paul’s, let it be commended for this also. For not without reason have the men of old handed it down as Paul’s. But who wrote the epistle, in truth God knows. Yet the account which has reached us [is twofold], some saying that Clement, who was bishop of the Romans, wrote the epistle, others, that it was Luke, he who wrote the Gospel and the Acts." Modern scholars consider the evidence against Pauline authorship of Hebrews too solid for dispute. Donald Guthrie, in his New Testament Introduction (1976), commented that "most modern writers find more difficulty in imagining how this Epistle was ever attributed to Paul than in disposing of the theory." Harold Attridge tells us that "it is certainly not a work of the apostle"; Daniel Wallace states, "the arguments against Pauline authorship [...] are conclusive." As a result, few supporters of Pauline authorship remain. As Richard Heard notes, in his Introduction To The New Testament, "modern critics have confirmed that the epistle cannot be attributed to Paul and have for the most part agreed with Origen’s judgement, ‘But as to who wrote the epistle, God knows the truth.’"
There are no preserved lists of a Christian New Testament canon from the 1st century and early 2nd century. Ignatius of Antioch, who wrote c. 110, appears to have quoted from Romans, 1 Corinthians, Ephesians, Colossians, and 1 Thessalonians, suggesting that these works, at least, existed by the time Ignatius wrote his works. Ignatius does not appear to have quoted from 2 Thessalonians whereas Polycarp (69-156 AD], Gospel of Mark, Gospel of Luke, Acts of the Apostles, 1 Corinthians, 2 Corinthians, Galatians, Ephesians, Philippians, 1 Thessalonians, 1 Timothy, 2 Timothy, Epistle to the Hebrews, 1 Peter, 1 John, 3 John. Scholar Bruce Metzger stated "One finds in Clement's work[(150–215 AD)] citations of all the books of the New Testament with the exception of Philemon, James, 2 Peter, and 2 and 3 John." 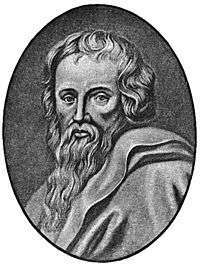 It is a canon compiled by Marcion, the founder of Marcionism. Marcion did not include any of the modern Gospels, only his Gospel of Marcion, which according to his enemies he had edited from the Gospel of Luke, whereas he claimed that it was their version which was edited from his original gospel. He includes ten epistles by Paul, omitting the Pastoral Epistles (Titus, 1 and 2 Timothy), as well as To the Hebrews. Papyrus 46, one of the oldest New Testament manuscripts (c. 200), contains the last eight chapters of Romans; all of Hebrews; virtually all of 1–2 Corinthians; all of Ephesians, Galatians, Philippians, Colossians; and two chapters of 1 Thessalonians. Because it is damaged there is no scholarly consensus on whether to consider the omission of a text definitive. Scholar Young Kyu Kim dated Papyrus 46 to the 1st century before the reign of Domitian (pre 81) although other scholars have disputed his early dating. 1 2 3 The Blackwell Companion to The New Testament by David E. Aune ISBN 1405108258 page 9 "While seven of the letters attributed to Paul are almost universally accepted as authentic (Romans, 1 and 2 Corinthians, Galatians, Philippians, 1 Thessalonians, Philemon), four are just as widely judged to be pseudepigraphical, i.e. written by unknown authors under Paul's name: Ephesians and the Pastorals (1 and 2 Timothy and Titus). 1 2 Eerdmans Commentary on the Bible by James D. G. Dunn (Nov 19, 2003) ISBN 0802837115 page 1274 "There is general scholarly agreement that seven of the thirteen letters beariing Paul's name are authentic, but his authorship of the other six cannot be taken for granted... Romans, 1 and 2 Corinthians, Galatians, Philippians, 1 Thessalonians and Philemon are certainly Paul's own." ↑ Though Hebrews was almost certainly not written by Paul, it has been a part of the Pauline corpus "from the beginning of extant MS production" (Wallace, Daniel B. "Hebrews: Introduction, Argument, and Outline.") https://web.archive.org/web/20031011120719/http://www.bible.org/docs/soapbox/hebotl.htm. ↑ E. Percy Die Probleme der Kolosser und Epheserbriefe (1964) p. 66. ↑ W. Michaelis Pastoralbriefe und Gefangenschaftsbriefe (1930) pp. 99-100. ↑ B.S. Easton, The Pastoral Epistles (1948) p. 25. ↑ G. Lonhfink, Paulinische Theologie in der Rezeption der Pastoralbrief, in Paulus in den neutestamentlichen Spatschriften ed. K. Kertelge, (1981) pp. 70–121. ↑ for example, F. R. McGuire, even though otherwise critical scholars like A. Q. Morton saw this text as the benchmark for refuting Pauline authorship of most other epistles; see A. Q. Morton and J. McLeman, Paul, the Man and the Myth (1966). Additionally, Robert Price argues that Galatians was written by Marcion; see R. M. Price, The Pre-Nicene New Testament (2006). ↑ see F.F. Bruce, Colossians p. 172; also, Holtzman, Kritik der Epheser u. Kolosserbriefe (1872); some have attempted to locate the origin of doubt with T. Mayerhoff as early as 1838 in his work Der Brief an die Kolosser. ↑ R. McL. Wilson, Gnosis and the New Testament (1958) p. 175. ↑ H. Conzelmann, An Outline of the Theology of the New Testament (1969) p. 314. ↑ see, for example, G. Cannon The Use of Traditional Materials in Colossians (1983) pp. 196-203. ↑ Assuming his Epistle to the Laodiceans referred to Ephesians and not the apocryphal Epistle to the Laodiceans or another text no longer extant. ↑ G. Milligan, Saint Paul's Epistles to the Thessalonians (1908) vi, ix, p. 448. ↑ Hebrews, although anonymous, was formerly ascribed to Paul. Scholarly opinion nowadays is almost unanimous against Pauline authorship: The New Jerome Biblical Commentary, publ. Geoffrey Chapman, 1989, chapter 60, at p.920, col. 2, "That Paul is neither directly nor indirectly the author is now the view of scholars almost without exception. For details, see Kümmel, I[ntroduction to the] N[ew] T[estament, Nashville, 1975] 392-94, 401-3". ↑ A few Fathers do not mention these epistles by name, instead quoting passages found in these letters (without making it clear that they are quoting anything at all), and there is no evidence in the surviving writings of Ignatius and Justin Martyr that proves their familiarity with these texts. ↑ Davis, Glen (1997–2006). "Cross Reference Table: Writings and Authorities". The Development of the Canon of the New Testament. Archived from the original on 30 August 2006. Retrieved 2006-09-23. ↑ Holtzmann, Dibelius, and Goodspeed, for example. ↑ Robert M. Grant A Historical Introduction To The New Testament Archived February 17, 2007, at the Wayback Machine. ↑ Jeffrey S. Bowman, "The Authorship of the Book of Hebrews" Archived February 8, 2007, at the Wayback Machine. ↑ Daniel Wallace, "Hebrews: Introduction, Argument and Outline"
↑ Richard Heard (1950). Introduction To The New Testament. ↑ Epistle to the Philippians. ↑ Kim, Young Kyu. "Paleographical Dating of 46 to the Later First Century." Biblica 69 (1988): 248-257. ↑ Griffin, B (1996), "The Paleographical Dating of P-46"
Bernard, J. H. (1899). The Pastoral Epistles. Brown, Raymond E. (1997). Introduction to the New Testament. New York: Anchor Bible. ISBN 0-385-24767-2. Easton, B. S. (1948). The Pastoral Epistles. Ehrman, Bart D. (1996). The Orthodox Corruption of Scripture: The Effect of Early Christological Controversies on the Text of the New Testament. New York: Oxford. ISBN 0-19-510279-7. Falconer, Sir R. (1937). The Pastoral Epistles. Goodspeed, E. J. (1956). Key to Ephesians. Guthrie, Donald (1990). New Testament Introduction. Hazell Books. ISBN 0-85111-761-9. Heard, Richard (1950). An Introduction to the New Testament. Black. ASIN B0000CHRAW. Harrison, P. N. (1921). The Problem of the Pastoral Epistles. Johnson, Luke Timothy; Todd C. Penner (2002). The Writings of the New Testament: An Interpretation. Augsburg Fortress Publishers. ISBN 0-8006-3439-X. von Harnack, Adolf (1926). Die Briefsammlung des Apostels Paulus. James, J. D. (1906). The Genuineness and Authorship of the Pastoral Epistles. Jeremias, J. (1952). Die Briefe an Timotheus und Titus. Kümmel, Werner G. (1996). Introduction to the New Testament. Abingdon Pr. ISBN 0-687-05576-8. Pagels, Elaine (1992). The Gnostic Paul: Gnostic Exegesis of the Pauline Letters. Trinity Press International. ISBN 1-56338-039-0. Perrin, Norman (1974). The New Testament, an Introduction: Proclamation and Parenesis, Myth and History. Harcourt College Pub. ISBN 0-15-565725-9. Ramsay, Sir W. M. (1920). St. Paul the Traveller. Robinson, J. A. T. (1976). Redating the New Testament. Schnelle, Udo (1998). The History and Theology of the New Testament Writings. Augsburg Fortress Publishers. ISBN 0-8006-2952-3. Streeter, B. H. (1929). The Primitive Church. Hermann Detering, 'The Dutch Approach to the Pauline Epistles". The Dutch Radicals denied the authenticity even of the so-called Principal Epistles, in order to interpret the entire corpus as representing antinomian movements dating from about 140.